Update: WIT has just been declared Institute of Technology of the Year in the annual Sunday Times league table. This is the second time we have been awarded this and the criteria include research funding, graduate employment and staff/ student ratios. I rest my case! I start most days with a 9.15 lecture to 1st science (after parking some distance away as the college simply can’t cater for 6,000 cars but is strangely reluctant to introduce permit parking). Teaching first year physics is a bit of a chore after all these years and the class is large at 75 students. That said, it’s nice to be present for their first introduction to physics and I try to keep them interested by linking the elementary stuff to deep ideas in cosmology and particle physics (How big is the universe? Is time a vector or a scalar?). Also, the vibe in 1st science is always good as the students are delighted to be in college, studying a host of new subjects. Most days, I’ll give a second lecture before lunch, to electronic engineers, with a morning break to catch up on email in the office. After lunch, I generally take a practical class, or else more advanced classes like 3rd and 4th year quantum physics. All in all, it is quite a heavy teaching load (16 h/w) in comparison with university lecturing. I enjoy the teaching, but the lectures, labs and staff meetings required for four different courses can take up 100% of your academic life if you let it. Still, it’s not too bad if you don’t have too many new modules in any given semester! Ironically, the new modules are often the most interesting, from cosmology 101 (see categories) to the science of climate climate change next semester. After the day’s teaching, I try to get some research done in the office from 4–6 or 5-7. One big difference with university life is that research in the IoT sector is self-driven, i.e. there is nothing specific in our contract about research. In some ways, this makes for a more relaxed life and indeed some staff confine themselves to teaching and preparation. On the other hand, there can be problems of motivation for those who do choose the research path, particularly as there is no reduction in teaching hours, or a definite career path linked to research. Despite all this, there are some highly competitive research groups in the college, attracting serious funding at national and international level. Recently, the college authorities decided to award nominal professorships for outstanding researchers and I think this will be helpful. Another issue in the IoT sector is office space. Because the Institutes started out as teaching-only institutions, staff often share quite large offices. I myself share an office with seven other lecturers; with students coming to the door and phones continually ringing, not much real academic work gets done between classes during the day, hence the evening shift. Overall, there is a very good atmosphere in the college,with a fairly young, well-motivated staff. There is plenty of interaction between staff of different disciplines at coffee time, more than in any other college where I have worked (3). 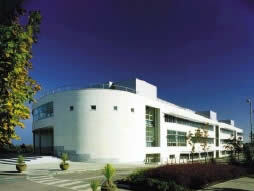 It helps that the college is the only third level college in this part of Ireland and enjoys a reputation of being effectively university-level in both teaching and research. Sadly, it may never actually get the deserved upgrade for reasons of realpolitik; in the parish pump world of Irish politics, there is a very real danger of all of the Institutes being subsequently upgraded, resulting in 13 new universities! 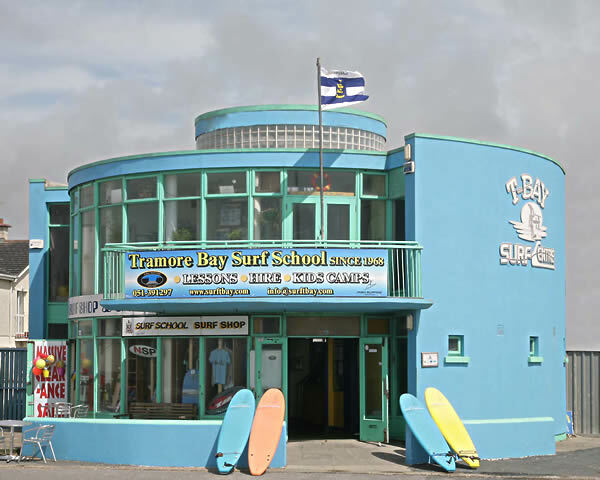 After work, I might catch a wave in Tramore Bay on the way home if conditions are good, otherwise it’s off to the pool or gym. Failing, that, there is always something going on in college, from an excellent film club to concerts, from public lectures to evening classes – this year I’ve enrolled for Creative Writing, can’t wait. As regards my own research, I took a break from technical research two years ago in order to concentrate on science communication. I’ve been interested in the whole area of the public perception of science for some time and it’s an area that’s becoming more and more important as society faces challenges such as global warming and energy supply. My particular area of interest is that of public information vs misinformation. There seems to be a great deal of misinformation around on matters scientific in the US and Ireland; sometimes it arises from journalistic ignorance and sometimes from vested interests. It’s not an easy field to break into but I’ve been lucky so far, with regular pieces in newspapers like The Irish Times and magazines like Physics World (see My Articles). The blog doesn’t hurt either; I’m currently in negotiations for a pop book on cosmology and I often get asked to give public lectures (this month, I’m giving a talk on the Large Hadron Collider at the Institute of Physics teacher’s conference and next month I’ll give a talk on the Big Bang to Astronomy Ireland at Trinity College, see Public Lectures). In the longer term, I guess it’d be nice to get back to the university sector eventually, ideally as a Professor for the Public Understanding of Science. Writing articles is fine, but I’d relish the chance to be involved in public science debates in the media with prominent doubters and skeptics (wouldn’t say no to a quiet office, either). Although there are many PUS positions in the UK and the US, there are currently none in Ireland, hopefully this will change in the future. In the meantime, I enjoy both the teaching and research in different ways. I can summarise a typical day’s work with a famous quote – if you find a job you enjoy, you’ll never have to do a real day’s work in your life! Sorry, I blew the tag, please delete the first post. Question is, why is our universe made up almost entirely of matter? It isn’t. The “missing” antimatter is normal mass-energy that comprises the vacuum structure. It is rarefied or stretched thin by expansion. It has negative pressure which is why it mimics negative mass, having opposite sign and producing an anti-gravity *effect*, but it’s true (normal matter) nature is exposed when it gets condensed to achieve the matter density… e.g. a positron. Why hasn’t somebody figured out something so obvious before now? And the answer is… Dirac. You’re right, the question is badly put. The question should really be ‘why does our uiverse appear to be made up almost entirely of matter?’. In that context, vacuum energy is an interesting possibility..
Hi cormac, thanks for your reply. Please click on my name and check out my long bet. Q. What is the size of the universe? Q. Is time a vector or a scalar? Excellent piece. Congrats as always. And I hope you get a decent office ! In the meantime, I’ll be fascinated to see how you reconcile your interest in clearing up misinformation in science with the whole sordid mess that is the global warming debate. I’m sure the European view of us here in the US is that we’re all blindfolded by energy companies, while here in the US our common perception of European attitudes is, I think, that they’re a mixture of doctrinaire left-wing ideology and a cynical desire for funding from clueless politicians whose eyes light up at the prospect of new sources of tax revenue. Best of luck in sorting through that mess ! Re GW, it seems to be a perfectly symmetric debate, with each side accusing each other of ideology over scientific fact. Both sides are guilty of this, in my view, although, as you know, I think most of the misinformation on the pro-GW side comes from misguided journalists who over-simplfy the facts (as opposed to scientists following a fashion, not v plausible). Ironically, the IPCC was set up precisely to collate the data and clear up the debate, but it doesn’t explain itself or its results very well (doesn’t help that the summaries are written by non-scientists).